Possession for sale of a controlled substance is a serious crime in California. If the prosecution can prove that you possessed the substance with the intent to sell it, you will face harsh penalties. If you are accused of violating HS 11351, you must act quickly to protect your freedom. The Health and Safety Code is intended to protect the citizens of California from the dangerous effects of a wide variety of controlled substances. Possession for sale of a controlled substance is controlled by California Health and Safety Code Section 11351. Health and Safety Code Section 11351 applies to all controlled substances whether or not they are illicit drugs or prescription pills. Many of the controlled substances are also listed on the federal controlled substances list. This means that, in addition to state charges, if convicted of possession for sale of a controlled substance, you may also face federal charges. Conviction of possession for sale of a controlled substance could mean a prison sentence anywhere from two (2) to five (5) years and fines totaling up to ten thousand dollars ($10,000). In addition to fines and prison time, a conviction could affect your ability to get a job or even receive public benefits. See California Health and Safety Code Section 11351, 11351.5. In order to convict you under California Health and Safety Code section 11350, the prosecution must prove that you had possession of a controlled substance. Actual possession means you have direct and immediate control over the drug. This typically arises in situations where the substance is found on your immediate person. However, you do not have to actually hold or touch something in order to possess it. It is enough if you have personal control over the drug or share that control with another person. This type of possession is also known as constructive possession. You can be found in constructive possession of a controlled substance if the drugs were found in an area over which you exercise control. Therefore if the controlled substance is found in your car or your home, you can be convicted of this offense. You can be found in constructive possession of a controlled substance if the drugs were found in an area over which you exercise control. These are just a few examples of controlled substances regulated by the USCSA. In order to prove that the drug in your possession was a controlled substance, the prosecution will use laboratory tests and expert witness testimony to determine the drug’s chemical makeup. It is important to note that possession of methamphetamine for sale (CA PC 11377) and possession of marijuana for sale (CA PC 11359) are separate offenses not covered under California Penal Code section 11351. In order to convict you of possession of a controlled substance for sale under California Health and Safety Code 11351, the prosecution must prove that you knew the substance’s nature or character as a controlled substance. In other words, the prosecution must prove that you knew the substance you possessed was capable of being used as a narcotic. However, the prosecution does NOT need to prove that you knew which specific substance you actually possessed. A usable amount is any quantity large enough to be used by someone as a controlled substance. Useless traces or debris are not considered “usable amounts” because they are not likely to be used in the manner prohibited by the California Health and Safety Code. However, a very small quantity can still be considered a usable amount and the quantity does NOT need to be enough, in either amount or strength, to affect your disposition upon its use. To convict you of possession of a controlled substance for sale under California Health and Safety Code section 11351, the prosecution must prove that you had the intent to sell. Selling in this context means exchanging the controlled substance for money, services, or anything of value. The prosecution must show facts or circumstances that show you intended the sell the controlled substance rather than just possessing it for your own personal use. If the controlled substance was divided into small bags, the prosecution may use this to prove that you intended to sell. When charged with a serious crime such as possession of a controlled substance for sale in Southern California, you need an experienced drug defense lawyer that will fight for you using an effective defense strategy. There are several defenses available that could result in a dismissal or reduction of your charge. The Fourth Amendment to the United States Constitution grants you a constitutional right to be free from unreasonable searches and seizures by the government. To protect this right, the United States Supreme Court has issued a long line of decisions requiring the police to comply with certain formalities and procedures when conducting traffic stops and arrests. These formalities include possessing sufficient “probable cause” to make an arrest, reading you your Miranda rights before a police interrogation, and searching the vehicle only for evidence of the crime for which you were arrested. If the police illegally obtained evidence by failing to follow any one of these constitutional guarantees, your defense lawyer can ask the judge to have that evidence excluded and the chances of winning your case will increase significantly. In order to be successful in asserting this defense, YOU must prove each of these elements by a preponderance of the evidence. This means that you must prove that it is more likely than not that each of the three listed items is true. This is a lesser burden of proof than beyond a reasonable doubt. In order to convict you of possession of a controlled substance for sale, the prosecution must prove that you had possession or control over the drug. Possession can be “actual” meaning the substance was found on your person, or it can be “constructive” meaning that the substance was found in an area over which you exercise control. Your lawyer can argue that you did not have the requisite possession or control of the drug in order to sustain a conviction against you. It is important to know that either having access to the drugs or being near them at the time they are found, alone, are insufficient to prove possession. For example: You and your girlfriend take her car to go see a movie. On your way to the movie theater, a police officer pulls your girlfriend over for speeding. She consents to a search of the car and the officer finds a large zip-lock bag full of methamphetamine stashed in the glove box. Although you were sitting in the passenger seat and had access to the glove box, your mere presence in relation to the drug is not enough to convict of this offense without proving that you exerted some sort of control over its use. If you had no knowledge that you possessed the controlled substance, you can not be convicted of HS 11351.
possession or you thought that it was something else entirely and not a controlled substance, you cannot be convicted under California Health and Safety Code section 11351. Your Wallin & Klarich lawyer can argue that you lacked the requisite knowledge of the nature, character or presence of the drug and therefore cannot be found guilty of possession of a controlled substance for sale. For example: You find a suitcase sitting on the side of a dirt road with no other person in sight. It’s a nice leather suitcase and thinking that it was abandoned by its owner, you decide to pick it up and take it home with you. On your way back home a group of police officers surround you and place you under arrest. As it turns out, the suitcase is filled with cocaine and was purposely placed on the side of the road for an undercover sting operation. Although you had actual possession of the cocaine, you had no knowledge of its presence within the suitcase because you never bothered to open it. Since you were unaware of the controlled substance’s presence, you cannot be convicted of possession of a controlled substance for sale. You may have a defense to possession of a controlled substance for sale if you had a valid, written prescription for the substance from a physician, dentist, podiatrist, or veterinarian licensed to practice in California. It is actually the prosecution’s burden to prove beyond a reasonable doubt that you did not have a valid prescription. If you have a condition that is treated with a controlled substance, your attorney can argue that you had a valid prescription and therefore your possession of the substance was not illegal. However if you possess an amount of that controlled substance that is substantially greater than your personal medical needs, the prosecution can use this as evidence to show that you had the intent to sell. The amount of the controlled substance found in your possession exceeded an amount typical of personal use: Just because possessed a large amount of the controlled substance does not mean that you intended to sell it to another person. You could have possessed a large quantity because it is simply cheaper to buy in bulk. Or perhaps you wanted to make one purchase and stock up on the substance so that it would last longer for your own personal use. When the controlled substance was seized, you were in possession of large amounts of cash in small denominations: Possession of cash in small denominations is not an indication that you sold or intended to sell the controlled substance. This money could have come from any source (including your job! ), and the fact that it takes the form of small denominations is a common occurrence, considering that most commercial enterprises don’t even carry bills over $20. Without actual proof showing that the money was actually derived from selling the drug, your attorney can show the jury why this argument is tenuous at best. The controlled substance was separated into smaller amounts and placed in separate containers or bags: Separating the substance into smaller amounts and placing it into separate containers or bags does not mean that you intended to sell these to other people. If you possess a larger amount of the controlled substance and want to carry or transport it more efficiently, it wouldn’t make sense to bring the entire amount especially when it is intended for your own personal use. We can argue that simply separating the substance into smaller amounts does not indicate the intent to sell. The location in which you were found with the controlled substance is frequently used for drug sales: Just because the area is common to drug sales does not mean you were engaged in this prohibited activity. If you live in the neighborhood where these activities occur or even close by, it is only inevitable that you would be travelling through that area regardless of whether you were selling drugs or not. In addition, possession of a controlled substance in an area common to drug sales would indicate that you travelled to that area in order to purchase the drug for your own personal use rather than sell it. In any case, the fact that you were found in possession of a controlled substance within a “high crime” area alone, does not indicate you intended to sell the drug. Many people frequent your home or residence, stopping for only a short time: Just because many people frequent your residence does not mean that they purchasing drugs therein. Almost everyone has friends, family and personal acquaintances that stop by there home for a variety of reasons other than purchasing drugs. Even if one of your guests is found in possession of a controlled substance after he leaves your residence, this does not mean that he obtained the substance from you or even at that location. According to California Health and Safety Code section 11351, possession for sale of a controlled substance is a felony, and the punishment for sale of a controlled substance in California consists of 2, 3, or 4 years in county jail and a maximum $20,000 fine. 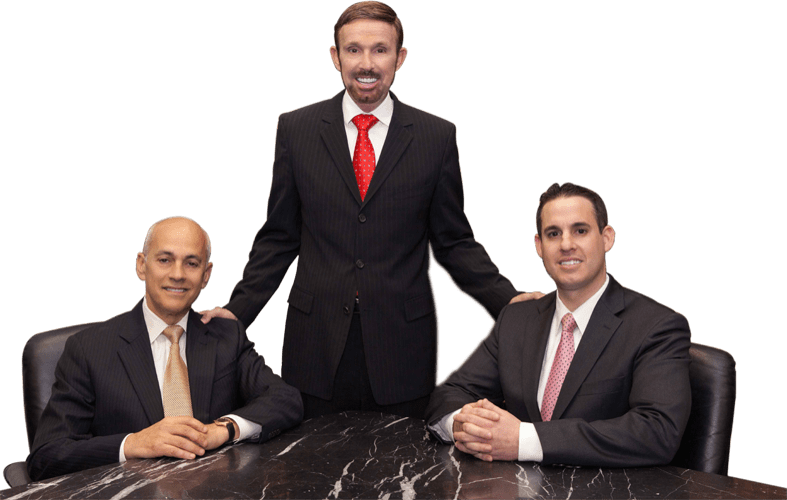 Our drug crime lawyers at Wallin & Klarich have over 30 years of experience in aggressively defending clients facing all types of drug charges in Southern California. Your punishment is highly dependent on the particular factors of your case. These are only a few of the probation terms that a court can impose. If you are found to be in violation of any of these terms, the court can sentence you to the maximum time allowed by law. Thus, you need the guidance of a professional team experienced in handling possession for sale cases in California. The professional defense team of drug crime attorneys at Wallin & Klarich provide answers to the most commonly asked questions about Health and Safety Code 11351 in California. Can I be convicted of possession of a controlled substance for sale if I was not aware of the drug’s presence? No. In order to convict you of possession of a controlled substance for sale under California Health and Safety Code section 11351, the prosecution must prove that you knew of the presence of the drug while it was in your possession. If you had no knowledge of the drug’s presence you cannot be convicted of this offense. For example: You borrow your friend’s car to go to work and are pulled over for speeding. The officer asks permission to search the trunk and you consent to his request. During the search, the officer finds a small backpack with several pounds of heroin therein. Although you were in constructive possession of the heroin because you had control over the vehicle in which it was located, you cannot be convicted of possession of controlled substance for sale because you were not aware of the substance’s presence in the vehicle. You may still face an ‘intent to sell’ charge despite the fact that the substance was for personal use only. sale even if you possessed the substance for your own personal use. The prosecution may choose to charge you with possession of a controlled substance for sale if there are facts indicating that you had the intent to sell. When making this decision, the prosecution will consider the amount of the controlled substance found in your possession, whether packaging materials such as small baggies or containers were present, if large sums of cash were present or whether drug paraphernalia such as a pipe was found. For example, if a large amount of individually packaged methamphetamine was seized, the prosecution is likely to file the intent to sell charge. On the other hand if a small amount of the substance was found along with a pipe or smoking device, these facts indicate that you possessed the drug for personal use. Can I be convicted of possession of a controlled substance for sale if the substance was a prescription medication? Yes. Possession of a controlled substance for sale not only includes illegal narcotics such as heroin or cocaine, but it can also encompass a wide variety of legal prescription drugs. If you are found to be in possession of prescription medication and do not have a valid prescription from a licensed doctor, your possession of the drugs is considered illegal and you can be convicted under Health and Safety Code section 11351 if the jury finds that you intended to sell the substance to another. Yes. In order to be convicted of possession of a controlled substance for sale, you do not actually need to be holding or touching the drug to be found in possession of it. Constructive possession exists when the drug is found in an area over which you exercise control. Therefore if the substance is found in your car, bedroom or any other area which you are likely to exert control, you can be convicted of possession for sale even though the drugs were not found on your person. With offices in Los Angeles, Sherman Oaks, Torrance, Tustin, San Diego, Riverside, San Bernardino, Ventura, West Covina, and Victorville, there is an experienced Wallin & Klarich criminal attorney available near you no matter where you work or live. Drawing from our extensive years of experience, we are available to answer any questions you have and are willing to go the extra mile in your defense. Call our offices today at (877) 4-NO-JAIL (466-5245). We will get through this together.